The Northwest Indiana Times recently published an article on St. Varnava Nastic, who was born in Gary, Indiana in 1914. 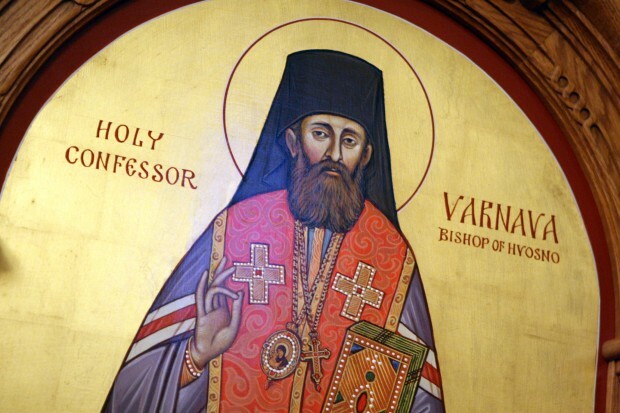 St. Varnava was the first person baptized in St. Sava Orthodox Church, which was originally in Gary and is now located in Merrillville. The Nastic family returned to Yugoslavia when St. Varnava was nine years old. He went on to become a bishop in the Serbian Church, suffered under the communists, and died under suspicious circumstances in 1964. He was glorified in 2005. Anyway, there’s more information in the article, which you can read by clicking here. Thanks to Bishop Savas of Troas for the link.